Novelist; essayist; short story writer; poet. Whether historical drama or contemporary horror, Jeff Mann has probably just about written it all. 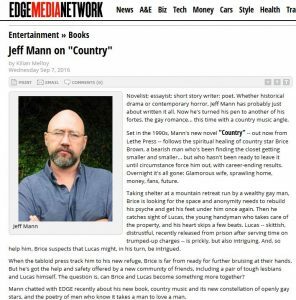 Now he’s turned his pen to another of his fortes, the gay romance… this time with a country music angle.